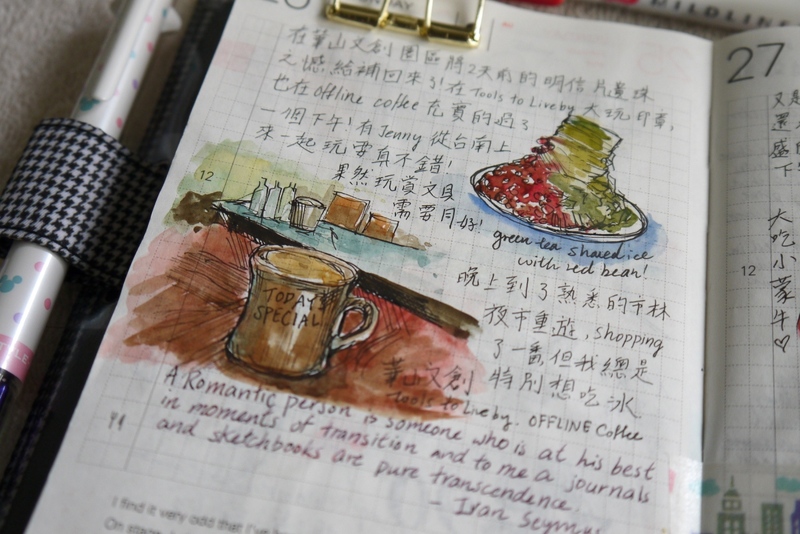 Of course, art journaling won’t be complete without painting my favourite food and eats! 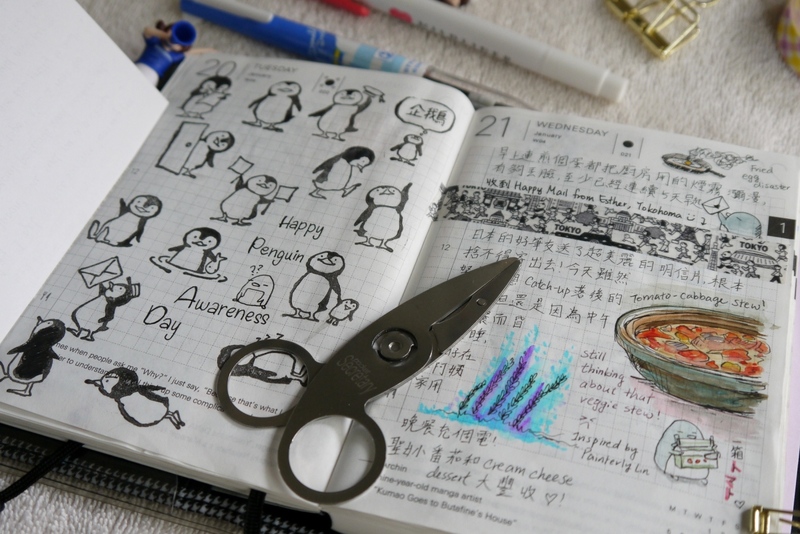 On January 20, it is Penguin Awareness Day! 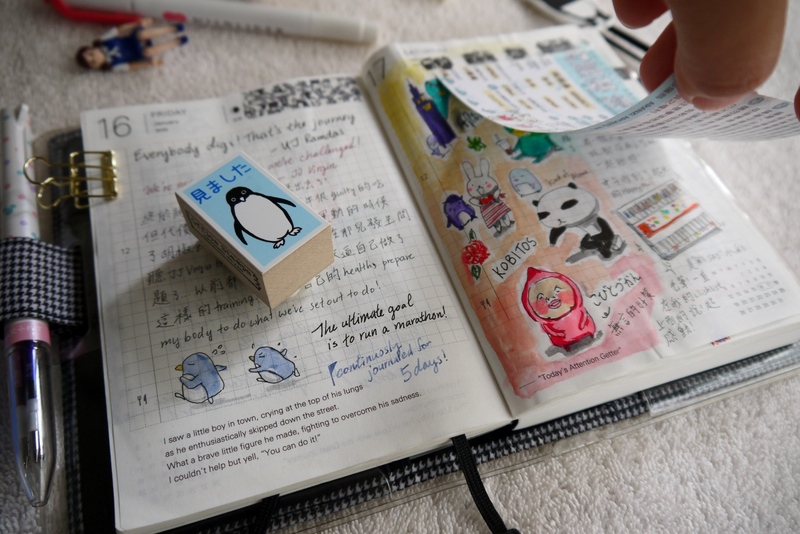 I immediately dug out all of my penguin stamps from Kodomonokao for this purpose. 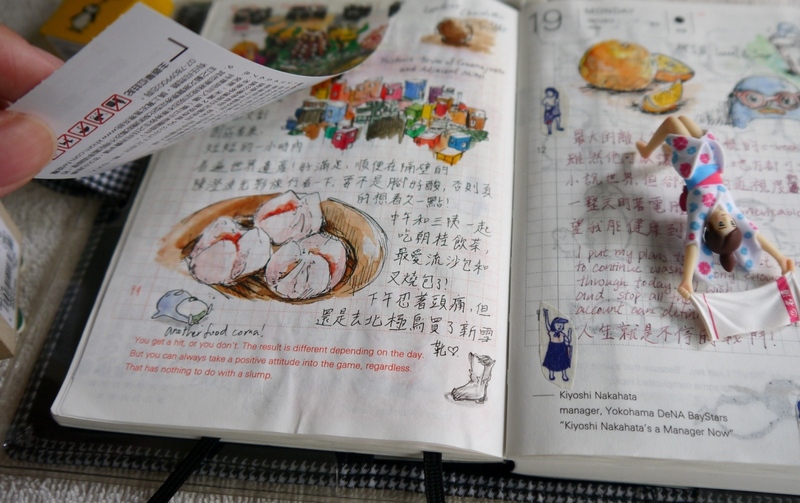 One of the best thing about owning a Hobonichi is that by the end of the year, you can admire the bulk of its contents and have fun playing Hobonichi Stack! 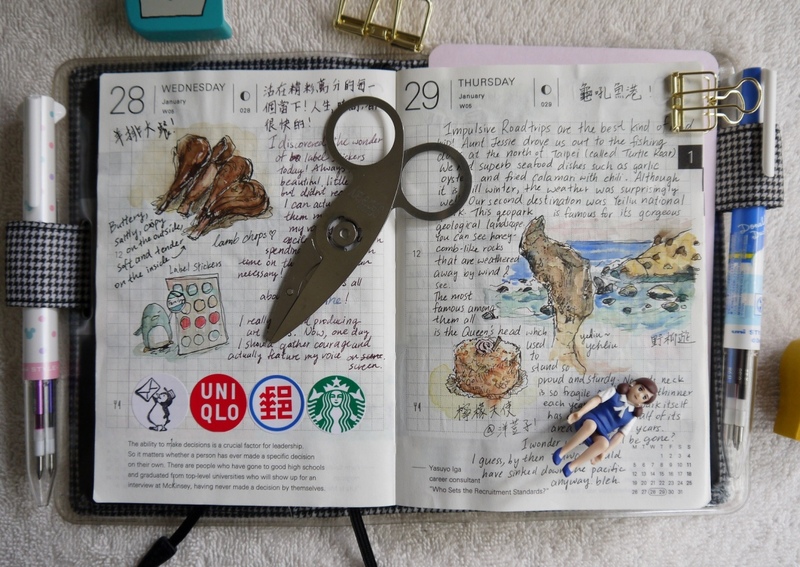 I read an especially inspiring article on the Hobonichi Website by a grad student who uses the Hobonichi Cousin for her studies. 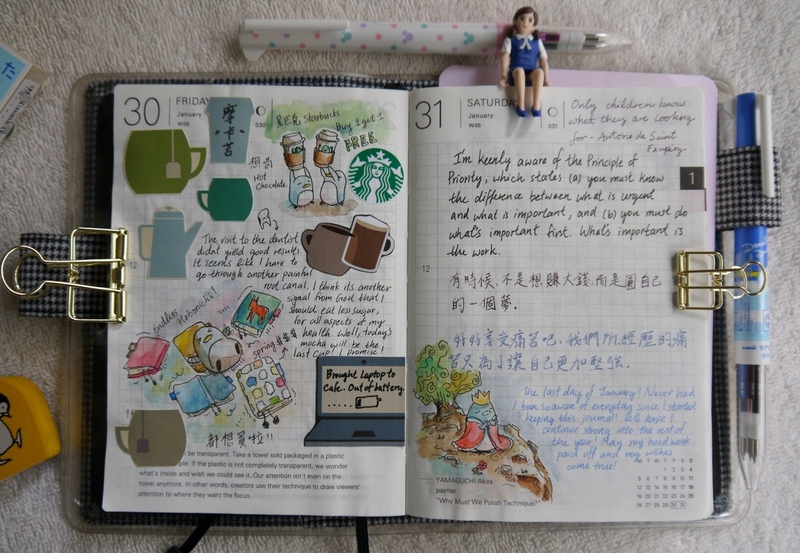 Her effective system of using the hobonichi for storing research data and referring to important notes is very motivational. 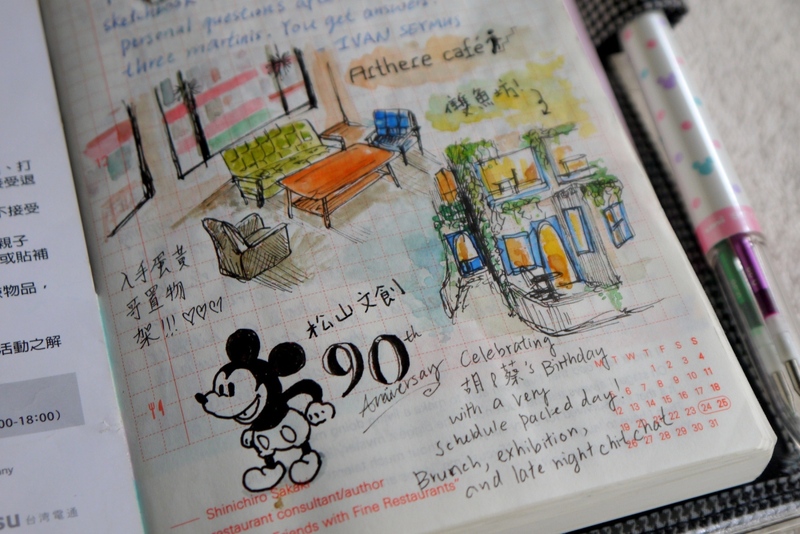 I can’t help but want to order one Cousin for myself as well! Painting scenery is becoming a recent favourite as well! 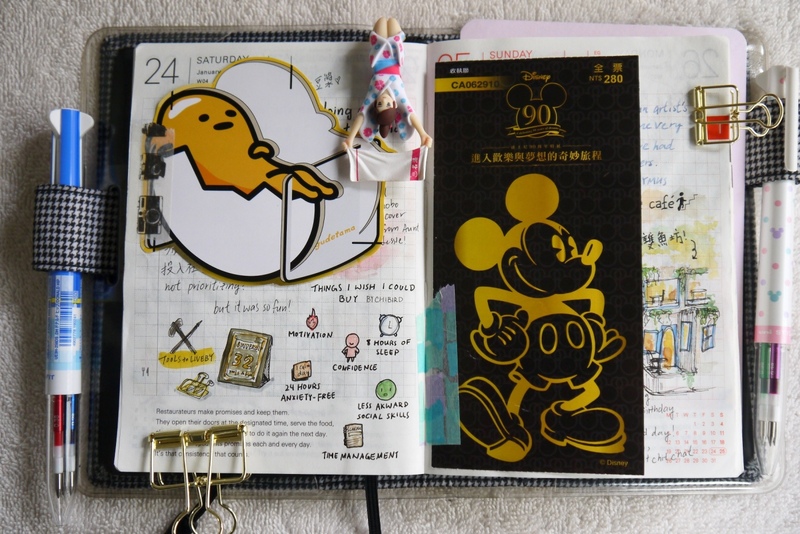 I love putting down inspirational quotes in the Hobonichi. 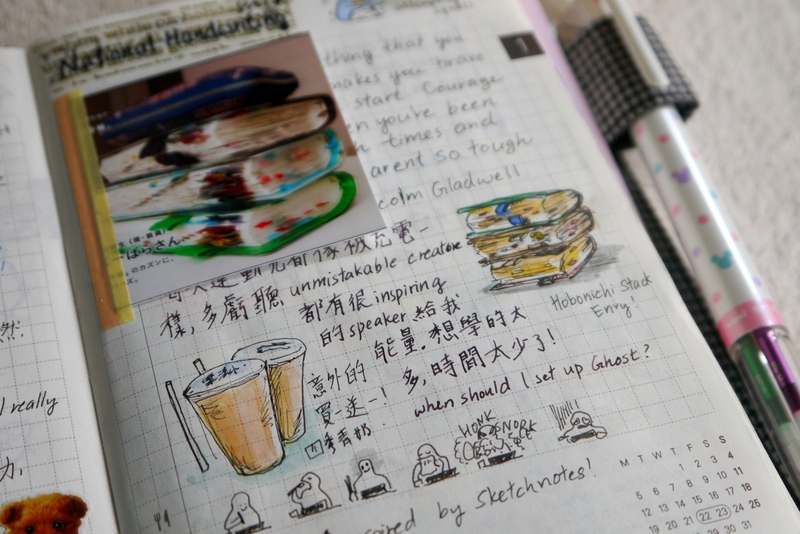 The Hobonichi will be a journal where I’ll be flipping through frequently, and I really enjoying looking back and see what kind of emotions I was feeling at the moment, and the quotes that I think inspires me. This is the quote that I’m keeping on my wall to remind myself to follow through on my priorities.